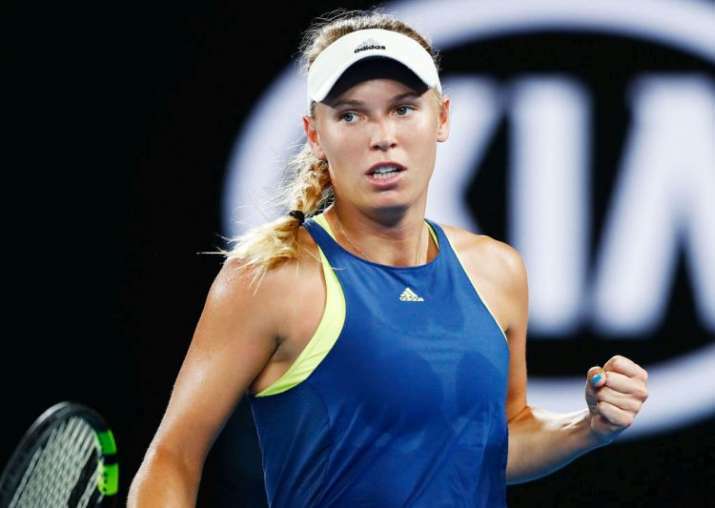 Wozniacki, who can return to the No. 1 ranking with her first Grand Slam singles title, plays Elise Mertens in the semifinals. Caroline Wozniacki has advanced to the semifinals at Melbourne Park with a 6-0, 6-7 (3), 6-2 win over Carla Suarez Navarro in an early Wednesday morning finish at Rod Laver Arena. The second-seeded Wozniacki won the first seven games of the match but trailed 4-2 in the second set before staging a comeback. Suarez Navarro had to save one match point in the 10th game before Wozniacki was outclassed in the tiebreaker. Wozniacki had an early break in the deciding set to take a 4-2 lead, then broke again in the seventh game before serving out the match in 2 hours, 11 minutes. Mertens beat fourth-seeded Elina Svitolina in straight sets earlier Tuesday.